Christmas is just round the corner and we wanted to tell you about this stunning handmade wooden Christmas Tree advent calendar. It would make a beautiful and fun addition to your Christmas decorations this year. This personalisable advent drop box will be customised for you with your family name and even a little Christmas message for all to see. It can also be used year after year and could become a lovely family tradition. It would make a lovely Christmas gift for a family. 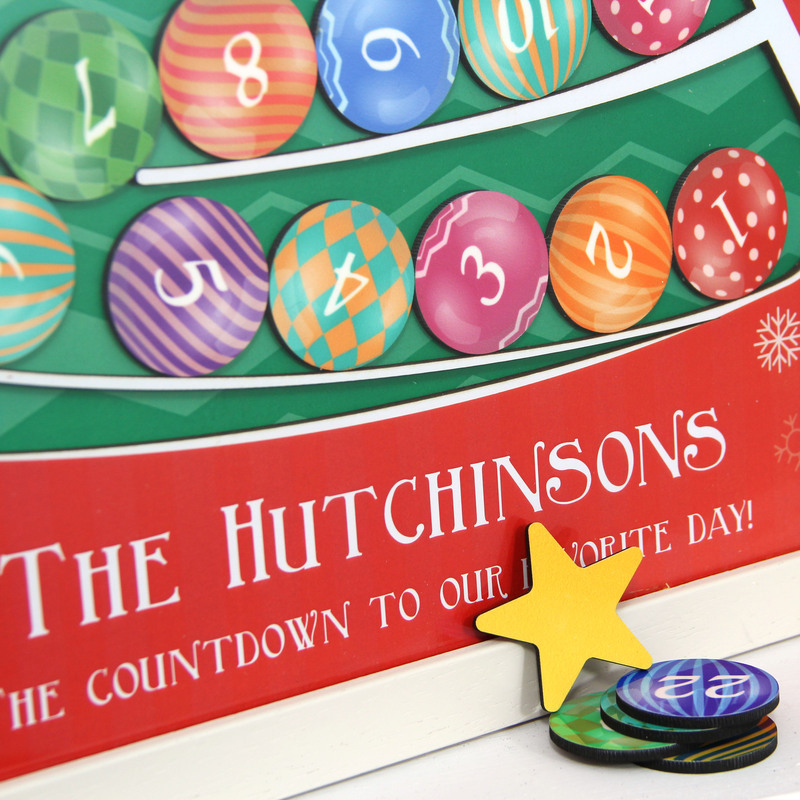 24 numbered bauble tokens plus a Christmas star will be sent to you with your wooden Christmas Tree advent calendar.. Each day you select your numbered bauble from the Christmassy red cotton bag and pop it in the slot at the top. 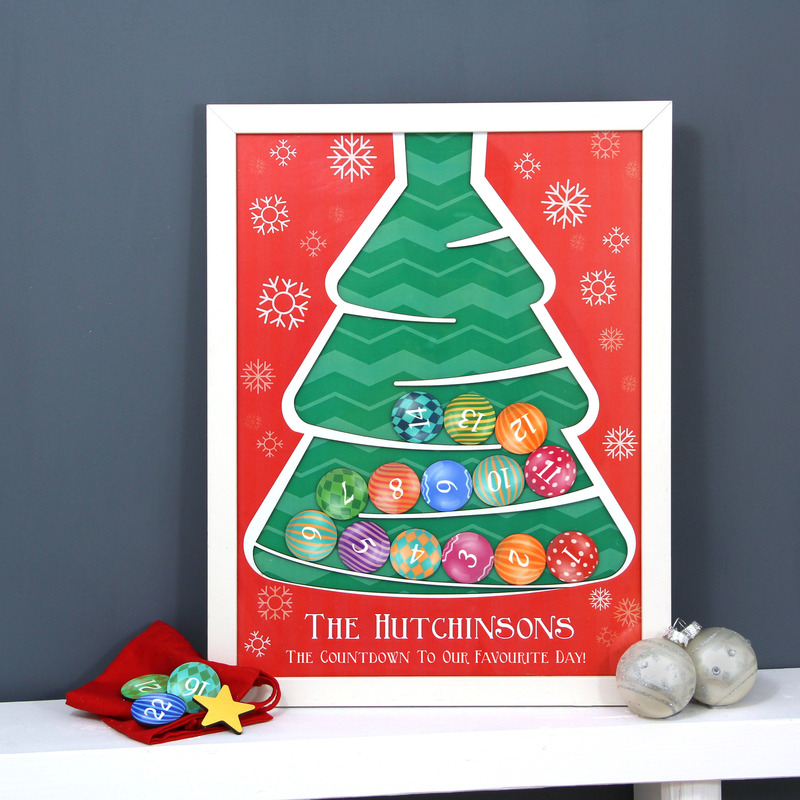 The kids will love watching and listening as the numbered baubles cascade down through your tree. As Christmas draws nearer you will decorate your tree with colourful baubles each day until you reach the top and hang your Christmas star. Handmade in our workshop in Devon, this stylish Christmas Tree is beautifully encased in a solid wooden frame and measures 35 x 46cm. It is supplied with a clear acrylic stand so you can display your wooden Christmas Tree advent calendar. 20th October 2016 in Christmas Gifts. ← How are Postcode Maps made?